Land Rover announced the opening of bookings for the fifth-gen Land Rover Discovery in India last month. 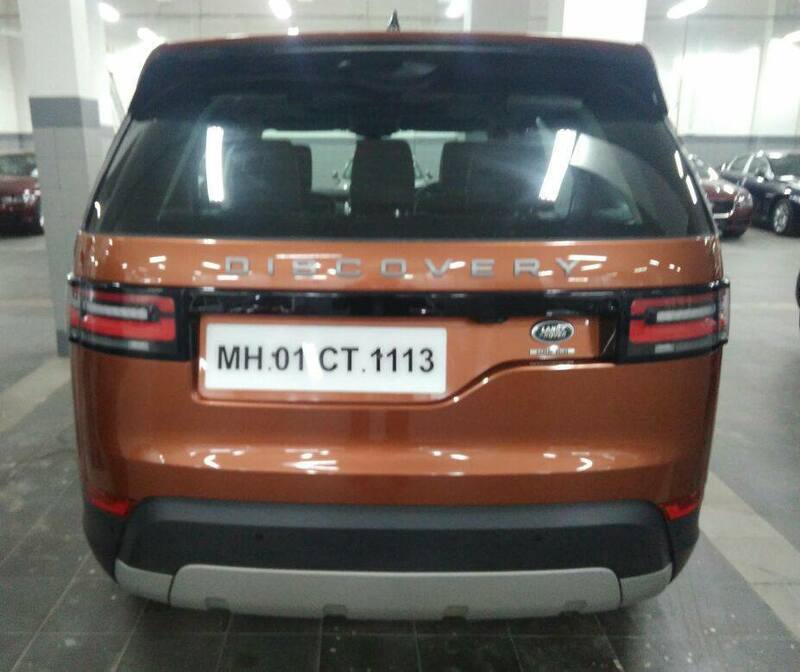 In the latest, a 2017 Land Rover Discovery demo vehicle was spotted in a parking lot, courtesy Facebook page Jaguar - Land Rover Enthusiasts and Owners - India. 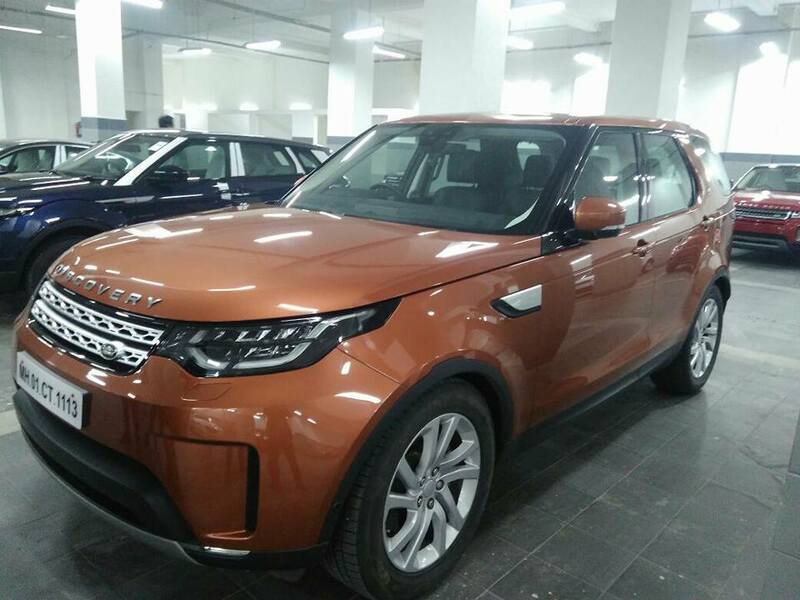 3.0L Si6 petrol & 3.0L Td6 diesel are the Indian-spec 2017 Land Rover Discovery's engine choices. The 2017 Land Rover Discovery is available with five engines internationally: 2.0L Si4 petrol (300 PS/400 Nm), 3.0L Si6 petrol (340 PS/450 Nm), 2.0L Td4 diesel (180 PS/430 Nm), 2.0L Td4 diesel (240 PS/500 Nm) and 3.0L Td6 diesel (258 PS/600 Nm). In India, the car comes with two options: 3.0L Si6 petrol and 3.0L Td6 diesel. 8-speed automatic transmission and all-wheel drive are standard. The 2017 Land Rover Discovery is available in India in ten configurations, five each of petrol and diesel. Noteworthy features include Adaptive LED headlights with LED signature, 21-inch alloy wheels, panoramic roof, ambient lighting with five color options, four-zone climate control system, massage front seats, electrically deployable tow bar, Automatic Access Height function for easy entry and exit, 10-inch InControl Touch Pro touchscreen infotainment system, 360-degree view surround camera system, Rear Seat Entertainment System with two 8-inch screens and 825-watt Meridian Digital Surround Sound System with 14 speakers a dual channel subwoofer. The 2017 Land Rover Discovery is available in India in ten configurations, five each of petrol and diesel. The 2017 Land Rover Discovery’s prices start at INR 68.05 lakh (ex-showroom) and go up to INR 1.03 crore (ex-showroom). Recent reports say that Land Rover will increase the prices to put into effect the increased cess on luxury cars and SUVs. The all-new Discovery's launch will take place on 28 October. Its deliveries will commence in the first week of November.